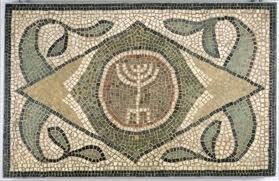 Susan Gubar presents an insightful way to be thankful on this day. 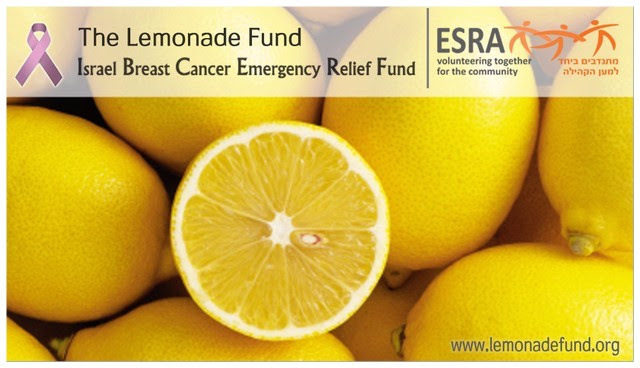 The Lemonade Fund gave a record number of grants this month, in time for Channukah, to Israeli breast cancer patients. This fund would never have been created without the eye opening experience of having cancer. Though no one would wish for it, one can be grateful for the good that can be born out of such an experience. 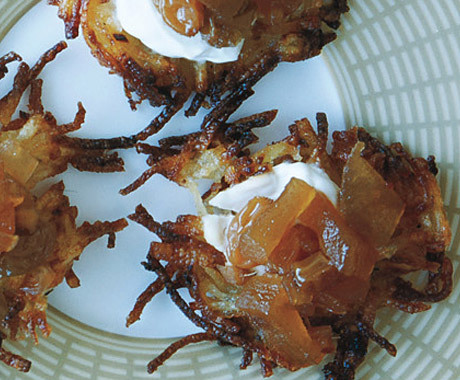 Every family has its own (ahem, best) version of these savory potato pancakes. We’re offering you a classic formula, though not everyone drains the potato mixture before frying—we find this prevents the latkes from absorbing too much oil and allows them to crisp into golden disks. Maybe this will become the new family favorite. Cut onion lengthwise to fit feed tube of a food processor, then grate with medium shredding disk. Transfer to a large bowl (do not clean processor). Peel potatoes and put in a bowl of cold water. Cut potatoes lengthwise to fit feed tube, then grate and add to onions. 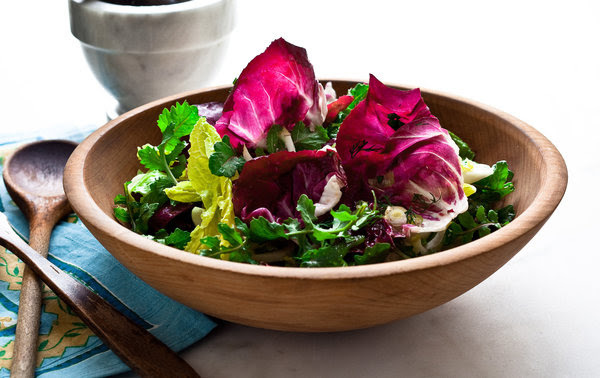 Toss with lemon juice, then with flour, 2 teaspoons salt, and 1 teaspoon pepper. Add eggs and stir to coat. Transfer to a colander set over a bowl (potatoes will release juices). Preheat oven to 200°F. 3Heat 1/4 inch oil to 360°F in a 12-inch heavy skillet over medium heat. Using a 1/4-cup measure, scoop 4 or 5 mounds of potato mixture into skillet. Flatten with a fork to form 3 1/2-to 4-inch pancakes. Cook until golden brown, 2 1/2 to 3 minutes per side. 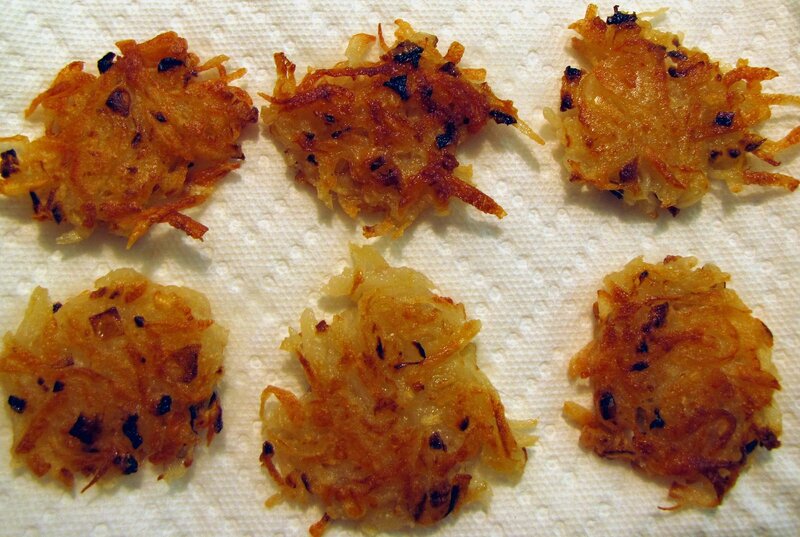 Transfer to a paper-towel-lined baking sheet and keep warm in oven while making more latkes. cooks’ note:Cooked latkes can be frozen on a baking sheet, then transferred to a sealable bag or container and frozen up to 2 weeks. Reheat in a 450°F oven (about 5 minutes). 1. Preheat oven to 425°. Lightly coat a doughnut pan with cooking spray. 2. Combine flours and next 4 ingredients (through salt) in a large bowl, stirring well with a whisk. 3. Combine buttermilk, eggs, honey, butter, and vanilla, stirring well with a whisk. Add buttermilk mixture to flour mixture; whisk just until combined. 4. Spoon batter into doughnut pans, filling twothirds full. Bake in middle of oven until doughnuts spring back when touched and are golden on bottom (about 8 minutes). Let cool in pan slightly (about 4 minutes); turn out. Coat with toppings (see ideas, below), if desired. 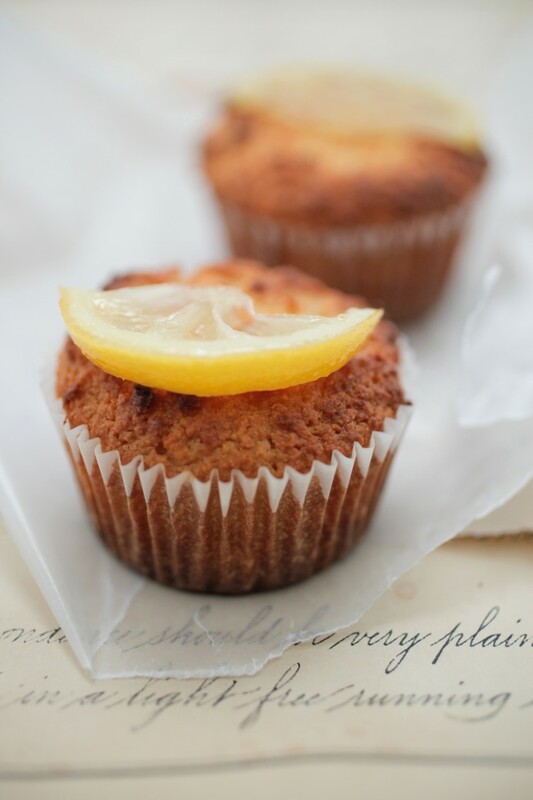 Combine 2 tablespoons fresh lemon juice and 1 1/2 cups powdered sugar, stirring well with a whisk. Dip 1 side of the cooled doughnuts into glaze; let cool on a rack, glazed side up. Melt 6 ounces bittersweet chocolate in a bowl in microwave until smooth. Dip tops of doughnuts into chocolate and place chocolate side up on a rack to cool. Sprinkle with 1/2 cup chopped hazelnuts; let sit about 10 minutes. Melt 4 ounces (1 cup) bittersweet chocolate in microwave until smooth. Fill a small squeeze bottle or zip-top plastic bag (snip a tiny hole in 1 corner of bag) with melted chocolate; pipe chocolate onto tops of doughnuts. Chill doughnuts until chocolate sets (about 10 minutes). Combine 1/4 cup ground cinnamon and 1/4 cup sugar. While still warm, coat doughnuts in sugar; let cool on rack, sugar-coated side up. The Lemonade Fund is sending out a profound thank you to Laura Novitch who makes every day, Good Deeds Day. Best Purim Costume. Ever. Laura dressed up as Life and gave out lemon cookies and Lemonade Fund brochures, personally illustrating the maxim, ‘When Life Gives You Lemons, Make Lemonade.” Thanks to Laura, for helping needy Israeli breast cancer patients in a most creative way! No time to write a lot right now, but glad to talk about something other than rockets or ceasefires. I do want to mention that I was often struck by how ‘normal life’ struggles to push through, no matter how harrowing the conditions. I imagine this must be true on both sides. People have flat tires, get sick, try to get work done, etc, while a war is going on. Surreal. In the midst of the chaos, the Israel Breast Cancer Emergency Relief Fund committee met last week, and in keeping with the dismal mood, the cases this month seemed to be particularly heartbreaking. Applications came in from all over the country, though coincidentally, mostly from the south. All women this time, (men can get breast cancer, too) but from all sectors of Israeli society. Two of the women are stage 4, young and very sick. Kind of need miracles. For the first time I left one of these meetings feeling depressed (usually they’re very uplifting,) though I was grateful we were able to help all of the applicants. Please consider subscribing to our blog at http://www.lemonadefund.org to comment, lend your written support, and to read more in depth stories of grant recipients. to your friends and acquaintances.